If you have any questions or suggestions you are welcome to join our forum discussion about Purchasing Power Parity and Interest Rate Parity Theories. The theory of Purchasing Power Parity postulates that foreign exchange rates should be evaluated by the relative prices of a similar basket of goods between two nations. A possible change in the rate of inflation of a given country should be balanced by the opposite change of country’s exchange rate. If prices in the country are surging because of inflation, country’s exchange rate should decrease in order to return to parity. The basket of goods and services includes a sample of all goods and services, which are covered by a country’s Gross Domestic Product. Consumer goods and services, services by the government, equipment goods and so on are all included in the basket. Among consumer goods and services are items such as food, drinks, clothing, footwear, tobacco, rents, medical goods and services, water and gas supply, fuel, transport services, recreational and cultural services, education services etc. 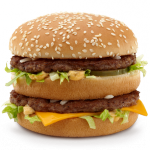 A popular example of Purchasing Power Parity is the Big Mac Index by the Economist magazine. A proposed method to forecast exchange rate movements is that the rate between currencies of two countries should adjust in a way that a sample basket of goods and services should cost the same in both currencies. The basket is comprised by one Big Mac burger, sold by the McDonald’s fast food chain. The Big Mac PPP exchange rate between two countries is calculated by dividing the cost of a Big Mac in one country in its own currency by the cost of a Big Mac in the other country in its own currency. The resulting value is usually compared with the current exchange rate. In case the value is lower, then the first currency appears to be undervalued in comparison with the second currency. In case the value is higher, then the first currency appears to be overvalued in comparison with the second. Let us have an example. In July 2008 in the United States a single Big Mac amounted to 3.57 USD, while in the United Kingdom its price was 2.29 GBP. The implied purchasing power parity is calculated as follows: 3.57/2.29 = 1.56. Therefore, the parity was 1.56 USD to 1 GBP. The actual exchange rate (GBP/USD) back then was 2 USD to 1 GBP. Comparing both values we reach the following result: (2.00-1.56)/1.56*100 = 28.20%, or the exchange rate for GBP/USD was overvalued by 28%. The Organization for Economic Cooperation and Development and Eurostat publish a more formal index of Purchasing Power Parity. 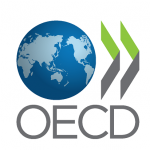 The latest information about whether a particular currency is undervalued or overvalued against the US dollar is presented on OECD’s website (www.oecd.com). Data is shown in the form of a table, containing price levels for major industrialized countries. Every column shows the number of monetary units needed in every country in order to purchase the same sample basket of consumer goods and services. The theory of Purchasing Power Parity should be applied only for fundamental analysis in a long term. Forces behind Purchasing Power Parity will at some point equalize the purchasing power of currencies. This can occur within 5 to 10 years. A disadvantage of this theory is that it suggests that goods can be traded without any restraints and it does not take into account any tariffs on imports or taxes. Inflation, interest rate differentials, economic reports, trade flows, political situation are factors, which should also be taken into account when weighing the index of purchasing power parity. This theory assumes that if two currencies have different interest rates, this difference will lead to a discount or premium for the exchange rate in order to avoid arbitrage opportunities. We discuss the role of arbitrageurs in the market in our Forex Trading guide. A simple example may be a situation, where interest rates in the United Kingdom are, say, 2%, while interest rates in Japan are, say, 1%. The sterling will need to depreciate 1% against the Japanese yen so that arbitrage opportunities can be avoided. The future exchange rate of GBP/JPY is reflected in the forward exchange rate known today. The forward exchange rate of the pound is at a discount, as it purchases lesser amount of Japanese yens in the forward rate than it does in the spot rate. The forward exchange rate of the yen, on the other hand, is at a premium. However, interest rate parity has not shown much proof that it is working recently. Currencies of countries, where interest rates are high, in many cases increase in value, because central banks are determined to cool an overheating economy by raising interest rates, therefore, this influence on currencies is not related to arbitrage.